The Defenders Release Date, Spoilers, Cast, Trailer, Plot, Characters, Episodes, Villain, News & Updates: The most awaited project of Marvel’s The Defenders Netflix series is in the pipeline. In it, we will see the team up of our favorite stars (Daredevil, Jessica Jones, Luke Cage, Iron Fist (and maybe some member of their supporting cast)). The fans will see it in this year only. 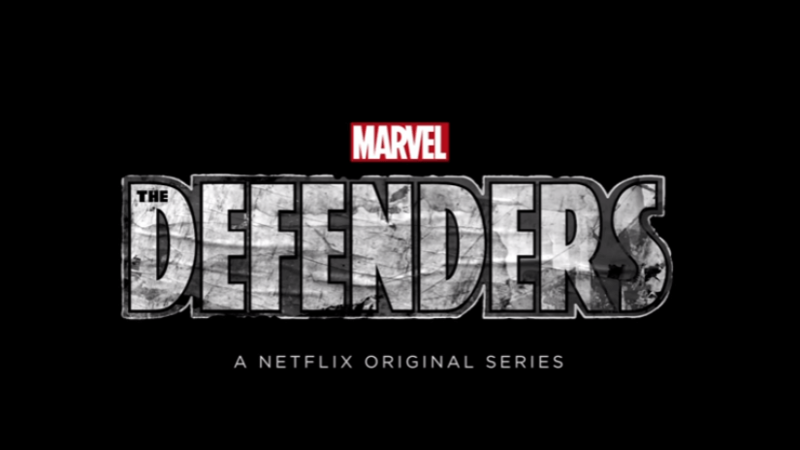 The defender is being filmed in New York City, and showrunners of this Netflix TV series are Douglas Petrie and Marco Ramirez from Daredevil Season 2, while Drew Goddard from Daredevil Season 1, The Martian, Lost will be joining as the executive producer. The first teaser of the upcoming TV show has tried to make it crystal clear regarding the team members. It also has a voice over from Stick. Apart from all this one of the main attraction is the use of Nirvana song in it which is making it more graceful. Check: Iron Fist Season 2 Release Date. 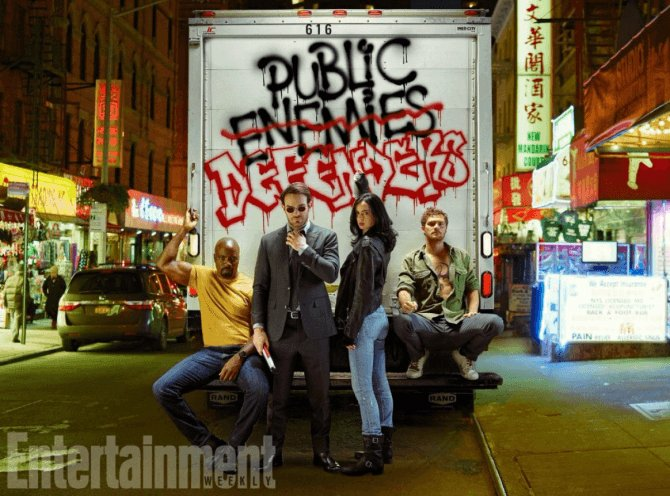 If our sources are not mistaken then this story is oriented towards the Daredevil, Jessica Jones, Luke Cage and Iron Fist. All of them are having one aim of saving New York City. In this, the four characters are also struggling to get over their personal challenges and then realize that they can fight more strongly after getting teamed up. There is very much possibility of joining this team of four, on their way to save New York City, by supporting characters like we may see Jon Bernthal’s Punisher. Also, we can expect the supporting character of their respective shows to make an appearance which may include Elden Henson as Foggy Nelson. The official Twitter account of The Defenders is giving us surprises by revealing new cast & news regarding the show. The latest update is about the Elodie Yung who will be seen as Elektra. Many other supporting characters of their own respective shows will be making special appearances, at least. It will be damn interesting to watch out. The first season of the series will consist of 8 episodes, unlike 13 of their respective shows. The Marvel has announced the director for the first two episodes, SJ Clarkson who has directed the episodes for Vinyl, Jessica Jones, and Orange is the New Black. In last October, Sigourney Weaver was declared as the villain face to the deafening applause on the NYCC main stage. After that, there has been no sufficient information till now on this topic. 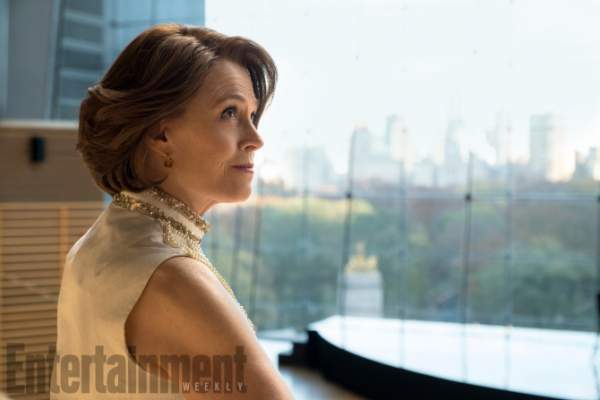 According to Entertainment Weekly Sigourney Weaver is presenting as the mystery antagonists of The Defender season 1. At the moment, all we know is her name “Alexandra, ” and this is all they are providing us with the name information. As Marco Ramirez told EW, it is going to be a difficult task to pull all these characters from their individual character and make them work together. As Ms. Weaver said last month, she is also very enjoying and loving her character. We will keep you update about The Defenders. So, stay tuned to The Reporter Times for the latest TV news. ‘Percy Jackson 3’ Release Rumors: Will It Be Still a Film Sequel or TV Series? All you said was a year of release, not date.